You can request an exchange for goods you have purchased on 55collection.com up to 14 days after receiving your order. Please email info@55collection.com if you would like to request an exchange. 55 Collection will not dispatch the goods until reception of the returned item or its exchange in our stores, as well as verification of the condition of the packaging and any accessories. You can request a refund for goods you have purchased on 55collection.com up to 14 days after receiving your order. Please email info@55collection.com if you would like to request a refund. 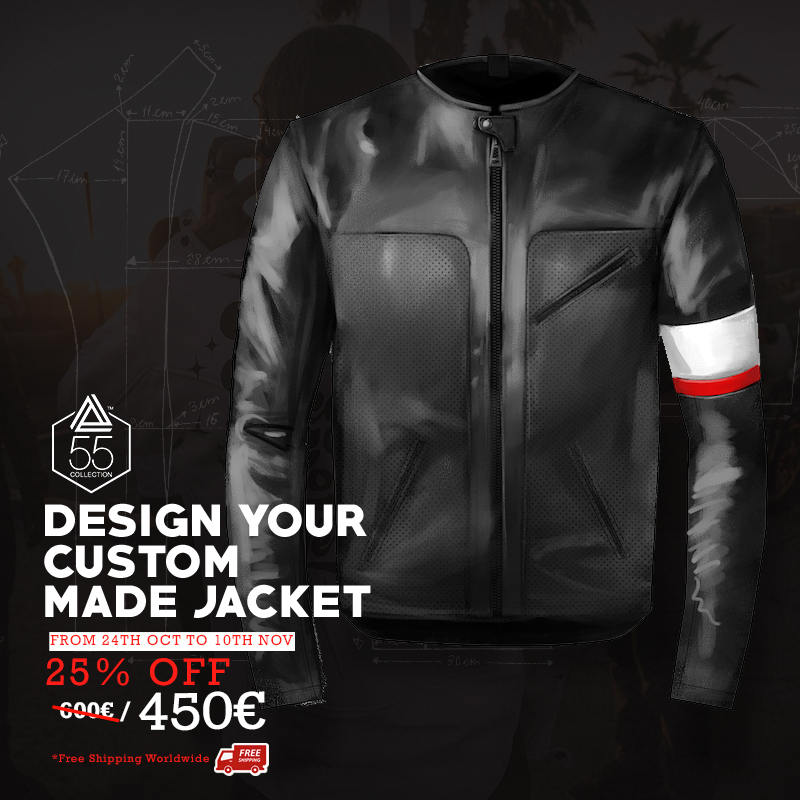 Bear in mind that customized jackets will not be exchanged nor refunded. The customs expenses incurred will not be reimbursed. All shipping costs are cover by the customer.